Passing it on: The Traditional Arts Apprenticeship Program – Deadline for applications is April 1! We are currently accepting applications from master artists and their apprentices for our Traditional Arts Apprenticeship Program (TAAP). 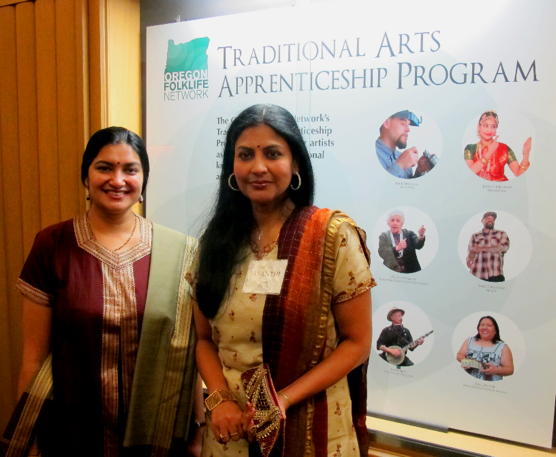 One of the Oregon Folklife Network’s cornerstone programs, TAAP assists master artists to teach and pass on their living traditions to promising apprentices from the same cultural background. Master artists receive stipends to cover training and a final public presentation. Our biannual awards ceremony invites legislators and government officials to recognize master artists. Download the application on our website and submit by April 1st. Send us your draft application early for preview and helpful feedback before final submission! 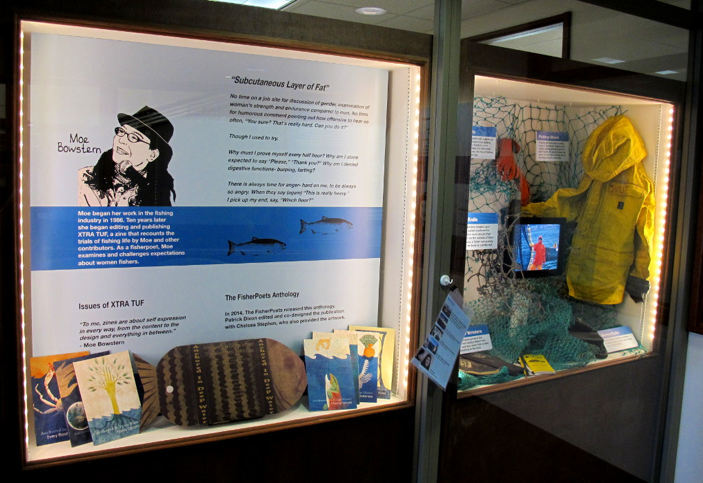 Artists from a number of different traditions have participated in TAAP over the years. 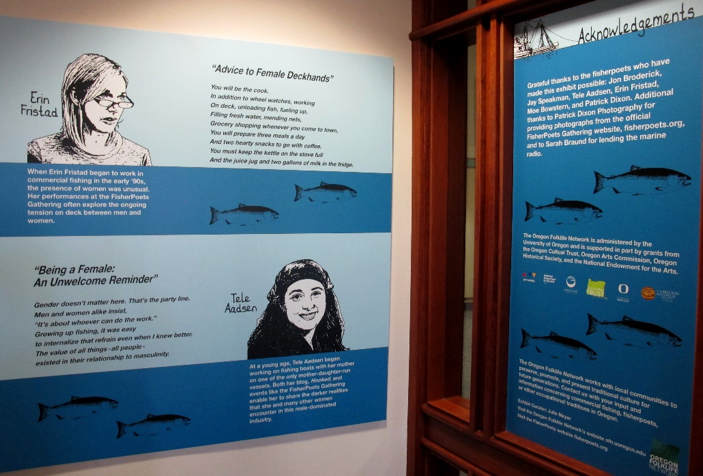 For a full list of participants, check out our new Oregon Culture Keepers Roster – just type “TAAP” into the keyword search to see the full list. 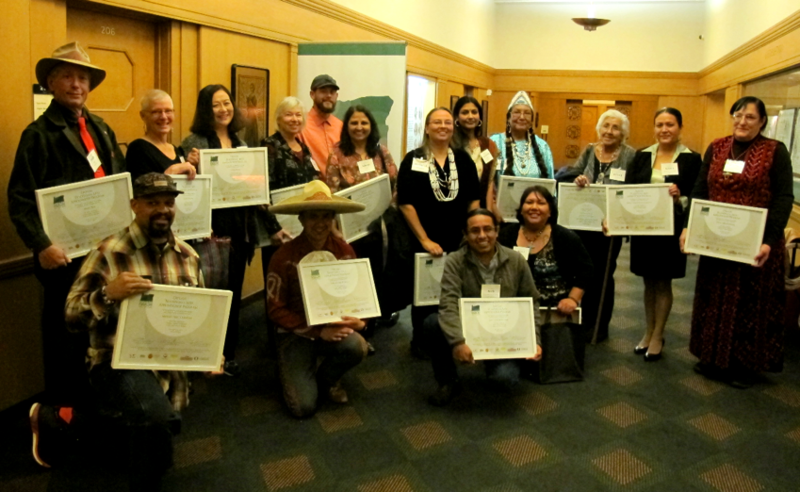 2015 recipients are: rap and hip hop emcee, Mic Crenshaw; bharatha natyam Indian dancer, Dr. Jayanthi Raman; traditional Coos, Lower Umpqua, and Siuslaw storyteller, Patricia Whereat Phillips; traditional saddle maker, Len Babb III; master silversmith, Pat Horlacher; and elders from the Burns Paiute Tribe (Alma Kennedy, Betty Hawley, Phyllis Miller, Wanda Johnson, Myra Peck) who are teaching moccasin making. OFN is honored to support these master artists in their efforts to keep and pass on their cultural traditions to the next generation. Keep your eye on our Vimeo and YouTube pages for our interviews with these artists – and be sure to check out the interviews with some of our previous master artists while you wait! Funding for TAAP comes from the National Endowment for the Arts Folk & Traditional Arts discipline, Oregon Arts Commission and Oregon Community Foundation’s Fred W. Fields Fund. 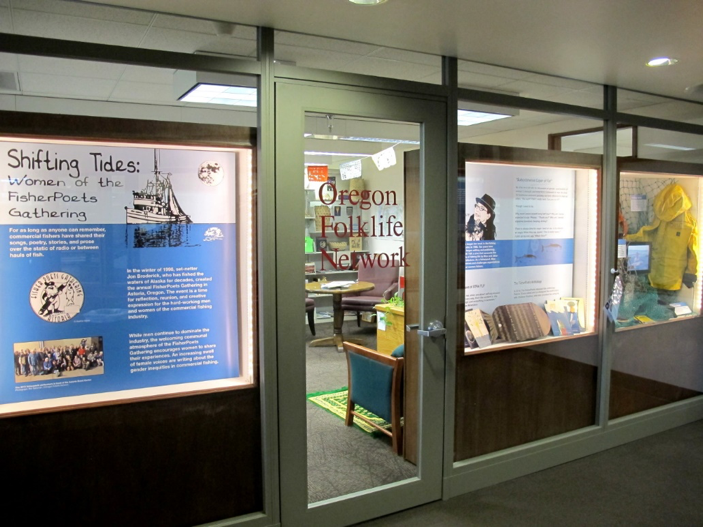 Additional support from the Oregon Historical Society and the University of Oregon makes this program possible. On November 16th, the OFN recognized 28 master artists and four years of our Traditional Arts Apprenticeship Program with an award ceremony hosted at the beautiful Oregon State Library in Salem. 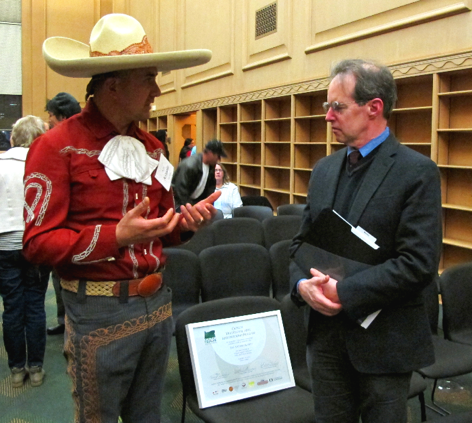 Legislative representatives and senators presented framed certificates to artists from their districts and acknowledged their important contributions to Oregon’s living cultural heritage. Master artist Esther Stutzman opened the ceremony with a traditional Kalapuya story. The audience of artists, family members, legislators, state officials, and University of Oregon administrators were also treated to Alex Llumiquinga Perez’s performance of traditional Andean music on his handmade charango and cajón, rapper and hip hop emcee Michael “Mic” Crenshaw’s powerful spoken word poems, and Antonio Huerta’s impromptu charrería rope-twirling. Several representatives from OFN’s operational partners also took part. MaryKay Dahlgreen (State Librarian, Oregon State Library) welcomed everyone. Brian Rogers (Executive Director, Oregon Arts Commission & Oregon Cultural Trust) and Eliza Canty-Jones (Editor, Oregon Historical Quarterly; Director, Community Engagement, Oregon Historical Society) said a few words of appreciation for the artists and took a hand in presenting certificates. Doug Blandy (Senior Vice Provost for Academic Affairs) represented the University of Oregon, which provides OFN with so much support. The afternoon began and ended with a reception and OFN’s latest exhibition, which features Oregon’s Traditional Arts Apprenticeship Program and the artists from 2012-2016. OFN’s exhibit developer and folklorist, Lyle Murphy, curated this beautiful portrait of the e exhibit, which will be on display through January, 31, 2016 at the State Library. Make sure to bring your friends and family to view it!